Old friends are the best friends. John Leonard said, ” it takes a long time to grow an old friend.” The loyalty and the history we’ve made with old friends is a treasure. When I lost my dad and when my daughter got married not too long ago, my old friends were with me every step of the way. Recently, I was challenged to name one of my best attributes and while it is always a little strange to talk about myself in this way, I realized that one of mine is being loyal. I’m loyal to my friends and I am loyal to my family. I’m also loyal to a few trusted brands that I have used and counted on for a long time. Tide is one of those brands. I’ve been using it in my home for as long as I can remember. And when you see a great offer for one of your most favorite products, that is stock up time! For a limited time there is a $3 off Tide Printable Coupons for Tide PODS and Tide Detergent so print your coupon from P&G Everyday now! From February 3rd – February 9th, you can print a $3 off coupon for Tide PODS or Tide Detergent from the P&G Brandsaver website. Simply create a login account (free-fast & safe) and then print your coupon. The coupon is good at retailers nationwide so you can use it at any store that accepts coupons. Print one per person and use it this week! 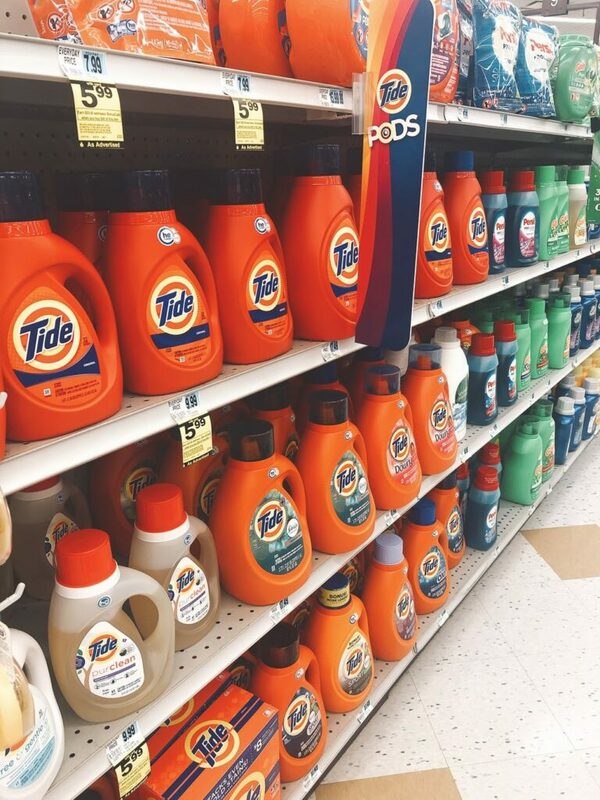 Today I stocked up on Tide at Rite Aid. I’ve also purchased it recently at both Walmart and Target. That is the convenience of this coupon, you can use it wherever you shop! 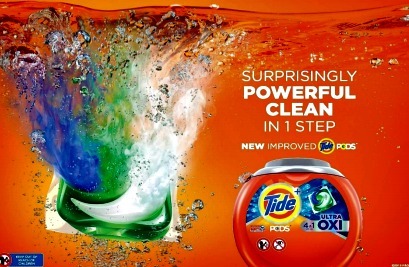 Have you tried Tide PODS? A few years ago, we got a new washer and dryer and our installer recommended using Tide PODS because the newer high- efficiency (HE) washers do not require the amount of laundry detergent that the older machines did. 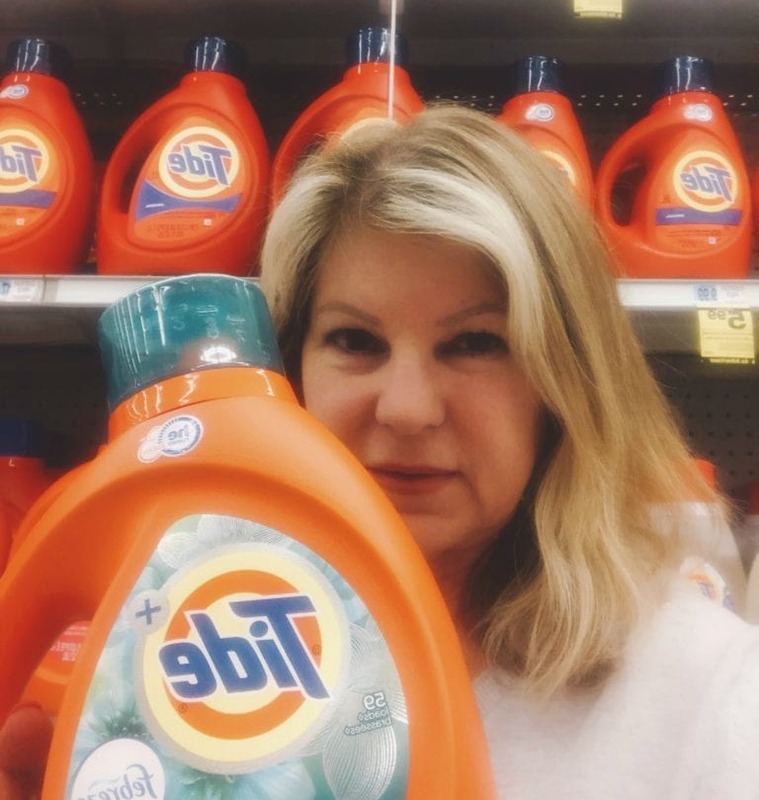 Now I love using a pre-measured amount of laundry detergent with no spills, no matter who is doing the laundry, the pre-measured pods ensure that nothing will go to waste, nothing will be spilled or over-measured and most-importantly, our clothes will be fresh and clean. When my daughter was away at college, I used to supply her with Tide PODS because they are perfect when you have to share a washer with others. It is so easy to take a pod with you in your laundry basket when you are doing your laundry elsewhere. My mom has an older washing machine and she likes the liquid Tide so I pick that up for her. When my kids were small, I knew that Tide detergent could handle our toughest loads from camping trips to sports equipment. Now we have a little dog who can get a bit stinky in between baths. I count on Tide to keep our sheets and blankets smelling fresh and clean so he can sleep in our bed without my husband kicking him out. Yes, I am one of those crazy dog moms. 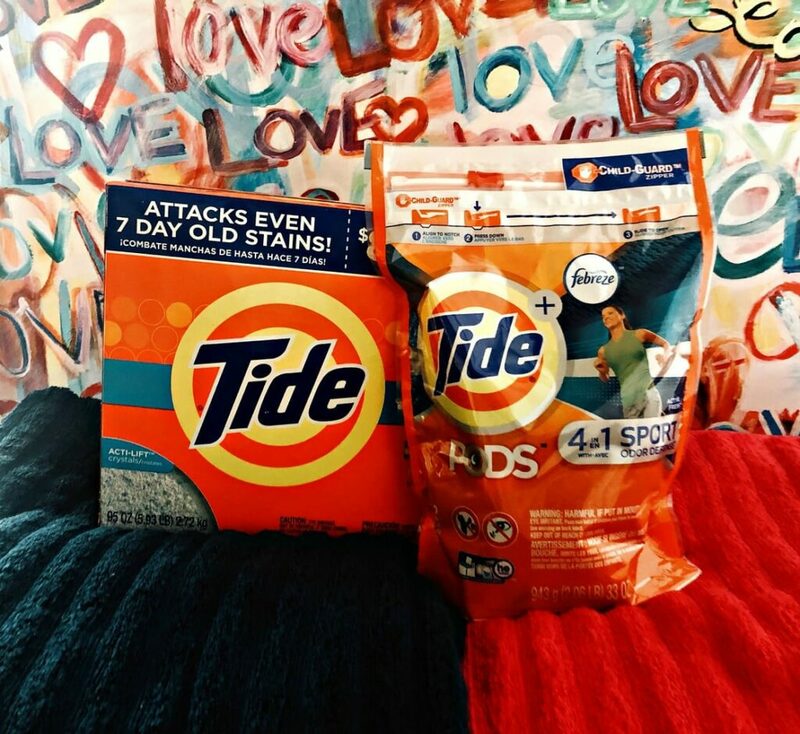 Over the holidays, we had house guests and I washed the sheets and blankets in our guest room with confidence knowing that my Tide laundry detergent would get everything clean and smelling great too. Like an old friend, it never lets me down. I’m not the only one singing the praises of Tide!